will see her from 5 to 2 am Saturday and Sunday morning and from 10 Sunday until 5 pm. 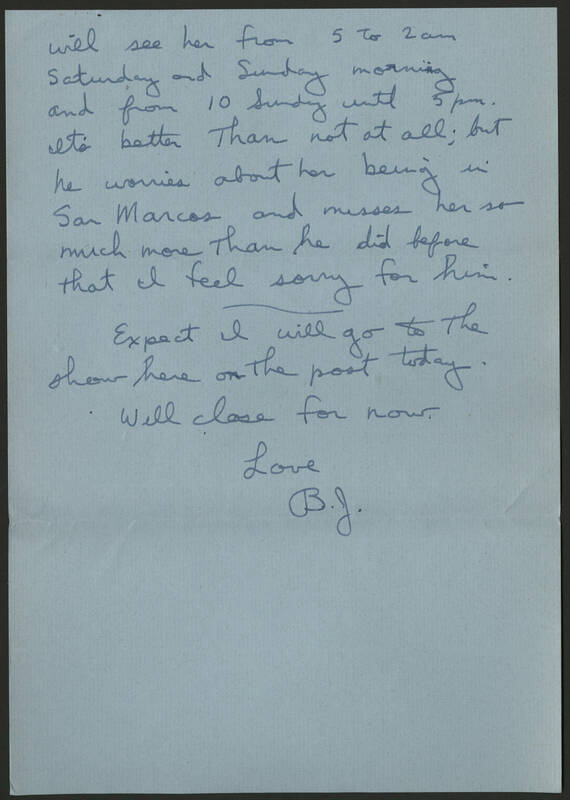 It's better than not at all; but he worries about her being in San Marcos and misses her so much more than he did before that I feel sorry for him. Expect I will go to the show here on the post today. Will close for now. Love B.J.